See how easy it is to transform your outdoor living space with an Aquascape ecosystem pond kit. 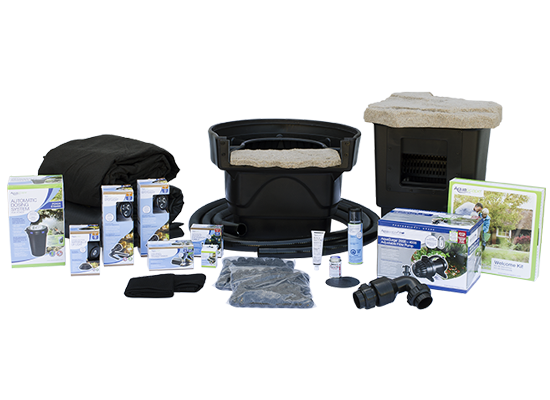 We've bundled the necessary components in a convenient kit to help you create a naturally balanced, low-maintenance pond. 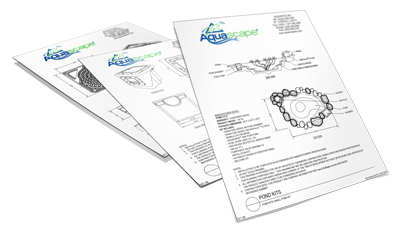 The Aquascape approach to creating backyard pond kits is quite different from many other water garden companies’ offerings. The goal with our backyard pond and water garden kits is to create a complete low-maintenance system that works with Mother Nature to provide food, shelter, and safety to the wildlife around it. All pond kit components selected work well together and complement the addition of rocks, gravel, fish, and plants. Learn more about Aquascape pond and water garden kits below! Includes an Aquascape Pond Skimmer and skimmer components. Includes an Aquascape BioFalls and BioBalls Filter Media. Finished pond size may vary based on pond shape and rock size.